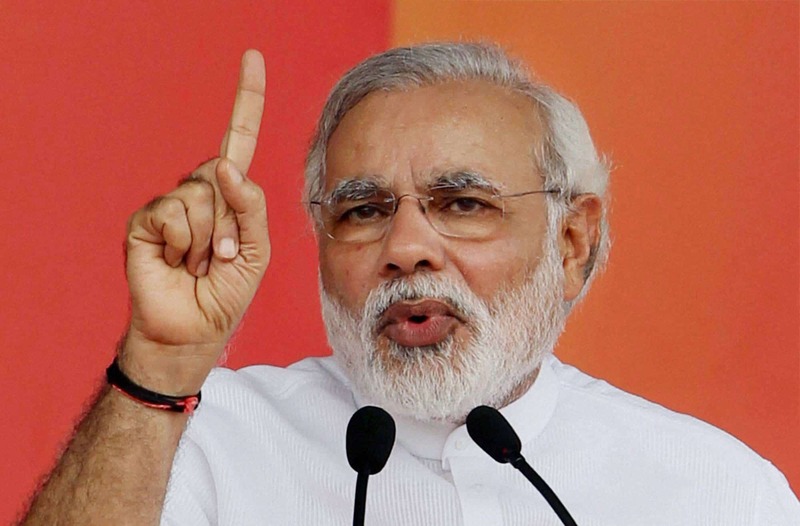 Are BJP's recent loses an indicator an end of the Modi Lehar? Home India Are BJP’s recent loses an indicator of end of the Modi Lehar? Are BJP’s recent loses an indicator of end of the Modi Lehar? Since 2014 BJP has been riding on MODI LEHAR to sweep polls across the country with Bihar assembly and Delhi assembly polls as the two major blow to that lahar but BJP seems to be particularly disturbed by the recent loses in Lok sabha and assembly bypolls. Let’s try to find out are BJP’s recent loses an indicator an end of the Modi Lehar? 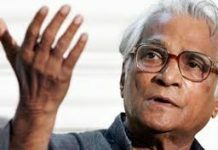 Dealing a blow to the ruling Bharatiya Janta Party, opposition parties emerged victorious in 11 out of 14 Lok Sabha and Assembly bypolls while limiting the saffron party and its allies to just three, and snatching the high-profile Kairana Parliamentary seat in Uttar Pradesh with a united force. Vote now – Rajasthan Opinion Poll 2018: Who Will Win 2018 Rajasthan Elections? With prestige at stake in every single bypoll in the run-up to the 2019 general elections, the opposition leaders latched onto today’s results across 11 states to claim sliding popularity of the Narendra Mod-led government, even as the BJP asserted that the PM would decide the Lok Sabha polls next year. 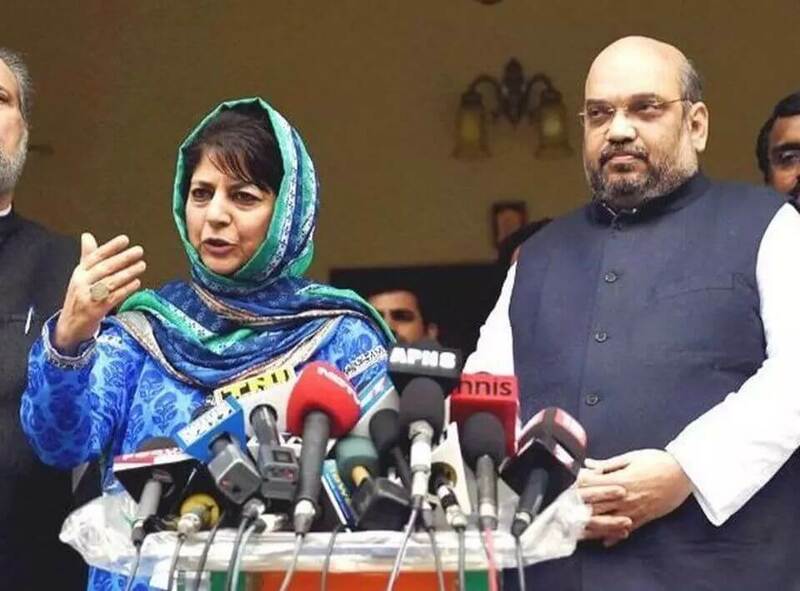 However, opposition leaders saw a big boost for strengthening non-BJP unity with the ruling party losing Kairana Lok Sabha seat in the politically important UP to a united Opposition after a communally-charged election campaign, while the result in the Bhandara-Gondiya Lok Sabha constituency in Maharashtra was similar. The BJP retained another Lok Sabha seat from Maharashtra, Palghar, where it had faced its own ally Shiv Sena, but the Opposition could not put a united fight. BJP’s Rajendra Gavit won the seat, defeating Shiv Sena’s Shrinivas Wanaga. Shiv Sena chief Uddhav Thackeray, however, alleged “discrepancies” in the counting of votes for Palghar. In Nagaland, the fourth Lok Sabha seat for which bypoll was held on Monday, went to BJP’s ally Nationalist Democratic Progressive Party (NDPP). Though the BJP lost Kairana Lok Sabha bypoll to the Opposition combined, the party claimed that it has still retained 40 percent of jat support. The BJP pointed out it cornered more Jat votes in Shamli, the Assembly segment with the highest concentration of Jats. Kairana which turned out be the third laboratory of the joint-Opposition experiment after Gorakhpur and Phulpur, saw BJP gaining a high of 50.6 percent of votes in 2014 Lok Sabha poll under the Modi-wave, 38.2 percent in 2017 Assembly polls, and 45.7 percent in May 28 by poll. “We have scored more votes of Jats in Shamli segment with the highest numbers of Jat population of over 70,000,” says Sanjeev Balyan, former Union Minister, and MP from Muzaffarnagar, who was one of the key leader strategising in the bypoll. There was a division of Jat votes but nearly 40 percent still remained with the BJP while 60 percent went to the LKD, backed by the SP-BSP, he said. Balyan claimed that voters would override the caste consideration in 2019 Lok Sabha poll. Read more – Can BJP Win The General Elections 2019? In Kairana when they would find no one of the statures of Prime Minister Narendra Modi standing up from the Opposition side. In the Jat-dominated Shamli village, BJP gained 25,800 votes in the bypoll, 500 more, in comparison to 2017 Assembly elections when the party got 25,300 votes. This is despite the low turnout of Jat voters in the constituency, asserted the BJP leader. BJP lost on Jat votes in Thana Bhawan which is represented in UP Assembly by the State Sugarcane Minister Suresh Rana. Non-payment to sugarcane farmers in the areas had greatly angered the Jat farmers in the entire area. In Nakur and Gangoh Assembly segments, BJP lost by 12,263 and 28,117 margins. Unlike 2014 Lok Sabha polls when BJP garnered a part of Jatav votes (otherwise committed to BSP’s Mayawati) this time round BSP did not get Dalit votes though received “good backing” from ‘ati pichhda’ voters like Kashyaps (around 1.15 lakh), Saini (75,000), Pal (35,000) and Kumhar (25,000). Upper castes which combine Brahmin and Vaish around 1.15 lakh and Thakur 35,000 to 40,000 also supported the BJP. According to party leaders, the Kairana bypoll did not generate a reverse polarisation among Hindu voters as was the case in the aftermath of 2013 communal disturbances. Rashtriya Lok Dal (RLD) of Ajit Singh did manage to resurrect itself from steep dip in its popularity among Jats in 2014 when the former himself lost his election from Baghpat Lok Sabha. The 2014 Lok Sabha poll in Kairana saw RLD receiving only 3.8 percent votes and in 2017 Assembly polls around 7.7 percent. RLD which has now collected 52 percent votes (with SP + BSP) has now got back their Jat support by 60 percent. The two main communities of Jat and Muslims seemed to have partly patched up with each other after the bitter phase following 2013 communal riots. The RLD-SP-BSP-Congress alliance successfully claimed the backing of the majority of 5.80 lakh Muslims, 2.5 lakh Dalits and a chunk of over 1.5 lakh Jats in Kairana, accounting for roughly 60 percent of the electorate. At a gathering of top CEOs in August last year, Prime Minister Narendra Modi, while putting forth his vision for healthcare, agriculture, infrastructure, education and poverty alleviation, said it would become a reality by 2022. When Debjani Ghosh, the then Intel India head and now President, Nasscom, said that before 2022 he would have to face another election – in 2019 – and asked if this meant he was confident of a victory, Modi replied he was giving a vision for the country’s 75th year of independence. This cuts into the heart of any assessment of his government as its own complete four years in power. While it has accomplished a number of challenging tasks -such as introducing Goods and Services Tax, Bankruptcy Code and big infrastructure projects – by the time Modi starts his campaign for the 2019 elections, a big chunk of his transformational agenda will still be work in progress. As for the potentially politically damaging land, labour and education reforms, well, these have not even been picked up as yet. We all cannot help but agree that he has avoided short-term growth fixes which, in the Indian context, usually means following loose fiscal policies, although some critics, such as former finance minister and BJP leader Yashwant Sinha, said the government has frittered away the savings from extremely low oil prices over the past four years or so. It is difficult to counter this argument as the savings have been huge indeed. Consider this: Even though crude oil and petroleum product imports rose to 268 million tonnes (MT) in 2016/17 from 219 MT in 2013/14, the money spent on this almost halved from $165 billion to $87 billion during the period due to the sharp decline in crude oil prices. But Finance Minister Piyush Goyal, who is standing in for an ailing Arun Jaitley, says the money saved has been well spent. For example, the government increased budgetary and extra-budgetary expenditure on infrastructure from Rs4.94 lakh crore in 2017/18 to Rs5.97 lakh crore in 2018/19. There were similar sharp increases in infrastructure spending in earlier Budgets too. “This is essential when private investment is not coming in,” says a top Cabinet minister. The gross fixed capital formation as the percent of GDP slipped from 33.8 percent in 2013/14 to 30.6 percent in 2016/17. The minister says this extra spending will ensure that the private sector investment cycle starts trending upwards in the next two years which, again, takes us beyond 2019. “The Government did well to diagnose the ailment. They started the treatment well. But most of the changes will require some time to show results,” says Maruti Suzuki Chairman R.C. Bhargava. He says nations work in continuity but “credit needs to be given for keeping its priorities right.” If one explanation has to be given for the BJP’s electoral ills in the Hindi heartland and nearby states, it is arrogance. Even more than the Narendra Modi government’s failures on the employment and agricultural fronts, it is the party’s and the government’s haughtiness, reflected in the Vice-president M Venkaiah Naidu’s characterisation of Modi as “God’s gift to the nation”, which has been undermining the party’s standing. Also Read - How Close Is The Modi Government To Full Electrification? Ever since the BJP came to power, it has been dismissive of everything that happened in the past and vowed to start on a clean slate after eradicating 1,200 years of slavery under the Muslims and the British. The party also neatly divided the people into “Ramzade” (children of the Hindu god, Ram) and “haramzade” or illegitimate children, as the Union minister, Sadhvi Niranjan Jyoti, so eloquently put it. Any opponent of the party was promptly placed in the anti-national or anti-Hindu category and told to go to Pakistan if he favoured the consumption of beef. Tourism Minister K.J. Alphons advised visitors from abroad to eat all their beef before coming to India. The reaction against the BJP’s hauteur was slow to take shape presumably because the people, especially youngsters, retained their faith in the Prime Minister’s “Sabka Saath, Sabka Vikas” or development for all promise. It still works in states like Tripura which has seen little economic growth undera the prolonged communist rule. But, elsewhere, the Modi magic has palpably started fading. The first sign was available in the Gujarat assembly elections where the BJP escaped defeat by a narrow margin. After that, the setbacks for the party in the Rajasthan and Madhya Pradesh by-elections substantiated the anti-BJP mood. Now, the Uttar Pradesh by-polls have provided resounding confirmation of the slide in the party’s fortunes in mainland India. For Chief Minister Yogi Adityanath to lose in his redoubt of Gorakhpur, where he is the head priest of the Gorakhnath temple, is far more indicative of the way the cookie is crumbling than the fall of the former chief minister Manik Sarkar’s government in Tripura, which was a cause of elation in saffron ranks. For the BJP, the monk-politician’s electoral humiliation is stunning for two reasons. One is that the elevation of this saffron-robed votary of “love jehad” and fake encounters to the Chief Minister’s post was intended by the Modi dispensation to show how much is changing in India as it marches towards a Hindu rashtra. Adityanath’s ascent was meant to be a kick in the teeth for the “secular” camp which could not believe that a Hindutva hawk would be made the Chief Minister of India’s largest state. The other reason why the BJP would be stupefied is that it will now have to shelve its decision to field Adityanath as the third main campaigner for the party after Modi and party president Amit Shah. Till now, the Chief Minister had been deputed to election-bound states to boast about the “developments” that were taking place in Uttar Pradesh. Now, he will be an “unstarred” campaigner as a Congress minister in Karnataka has mockingly said. It is not unlikely that Adityanath will be derided on the next occasion when he addresses an election rally. His admission that over-confidence led to the BJP’s defeats in Gorakhpur and Phulpur is only partially correct, for it was not so much self-assurance which undercut the party but supercilious pride of being saviourss of the nation from its “enemies”. This scornful outlook towards its political adversaries was starkly evident in Bihar where Union minister Giriraj Singh warned voters that Araria will become a “hub of terrorism” if the Muslim candidate was elected. This crude display of communalism did not deter the voters. Read more – National Integration Is Just Rhetoric For The BJP? The three or four “captive” television channels of the BJP have also been ringing alarm bells about the caste-based combination of the Samajwadi Party (SP) and the Bahujan Samaj Party (BSP), as well as the Rashtriya Janata Dal (RJD), bringing down the “nationalist” BJP in Uttar Pradesh and Bihar. Even then, it is clear that the successes of these parties have sent out the message to the Congress and other opposition parties that the ground is ripe for unseating the BJP by a united front. Till now, the BJP’s only hope of staying afloat was the disarray in opposition ranks. It may have also placed considerable faith in the machinations of cynical old-timers like Mulayam Singh Yadav to create fissures in the non-BJP ranks of the kind which enabled it to win big in Uttar Pradesh last year. But the times are changing. Young leaders like Akhilesh Yadav have shown that it is possible to overcome the earlier two-decade-old enmity between the SP and the BSP to bring the BJP to heel. The RJD has also demonstrated that its M-Y (Muslim-Yadav) base of support has remained intact despite Laloo Prasad Yadav’s incarceration. Besides, the Bihar outcome has shown that the latter’s son, Tajeshwi, has found his political feet. There are now several relatively young leaders — Rahul Gandhi, Akhilesh Yadav, Tajeshwi, Jignesh Mewani — who are in the field. As Rahul Gandhi’s recent meeting with Sharad Pawar showed, they are now taking the initiative along with elders like Sonia Gandhi to bring the opposition parties together on a common platform. If they succeed, the BJP’s chances of repeating 2014 in the next general election on 2019 are dim. Next articleNational Integration is Just Rhetoric for the BJP? 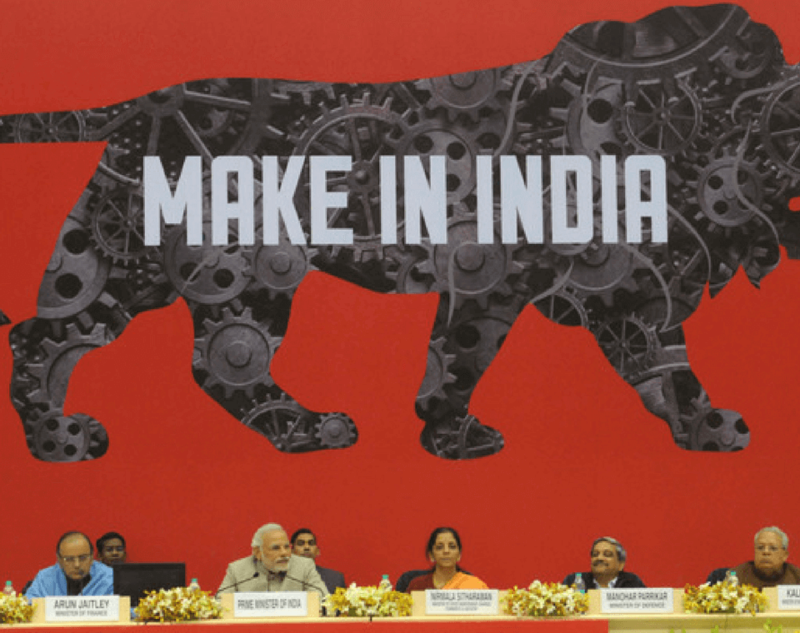 How Has Modi’s ‘Make in India’ Campaign Performed By Now? 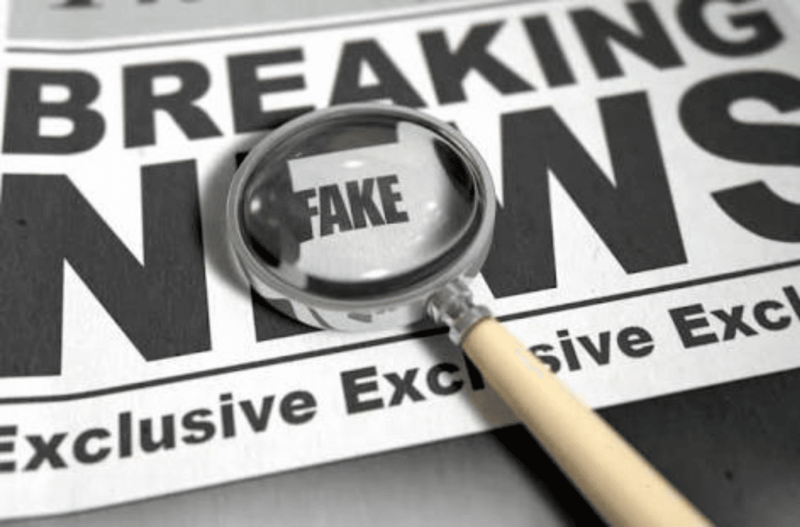 Why the bubble of Fake news must be burst?